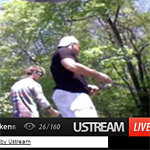 Chad Pipkens finishes strong in 4th! 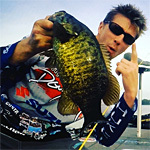 Elite Angler Chad Pipkens finished strong with a final day weight of 19 pounds 14 ounces to take 4th place in the final regular Bassmaster Elite Series bass tournament with a 4-day total of 77-2! 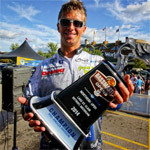 Three long runs to Lake Erie proved to be the right decision for Chad Pipkens whose 3-day total of 67-4 gave him the Bassmaster Lake St. Clair victory and his first Bassmaster Classic berth! 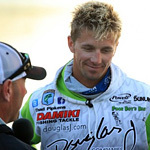 Chad Pipkens bagged his first top ten finish with 10th place at the St. Lawrence River Showdown Sunday, August 11. 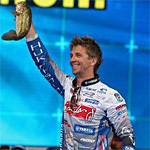 Pipkens completed four days in New York with 20 bass weighing 76 pounds. 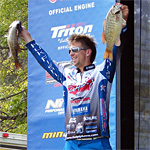 Chad Pipkens is fishing his first Bassmaster Elite Series final after vaulting into 4th place on the St. Lawrence River. 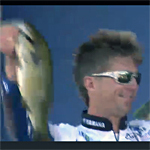 Chad is one ounce out of 3rd place with a three day total of 60 pounds 7 ounces. 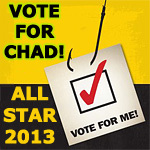 Chad Pipkens needs your Fan Favorite Angler vote for the 2013 All-Star Week tournament! You will also have a chance to win a 2014 Toyota Truck! 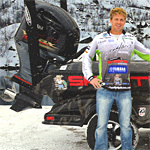 Chad Pipkens and Scott Weaver are fishing LIVE on video from 9AM until 7PM, Earth Day April 22 2013, to benefit the Alliance for the Great Lakes! 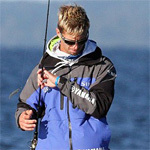 Yamaha Marine Group announced February 6, 2013 that it has added Holt Michigan Elite Series angler Chad Pipkens to the 2013 Yamaha Pro Team. 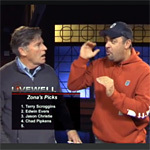 Mark Zona picks Chad Pipkens 4th for his 2013 ‘pure draft’ Bassmaster Elite Series Fantasy Fishing Team on the Livewell Video – Livewell talks Fantasy Fishing!